Pros We booked a room with two double beds for 4 people. The room was comfortable enough. The view of the room was perfect facing the Malaysian street. The staffs were very friendly & helpful. Lift is available. 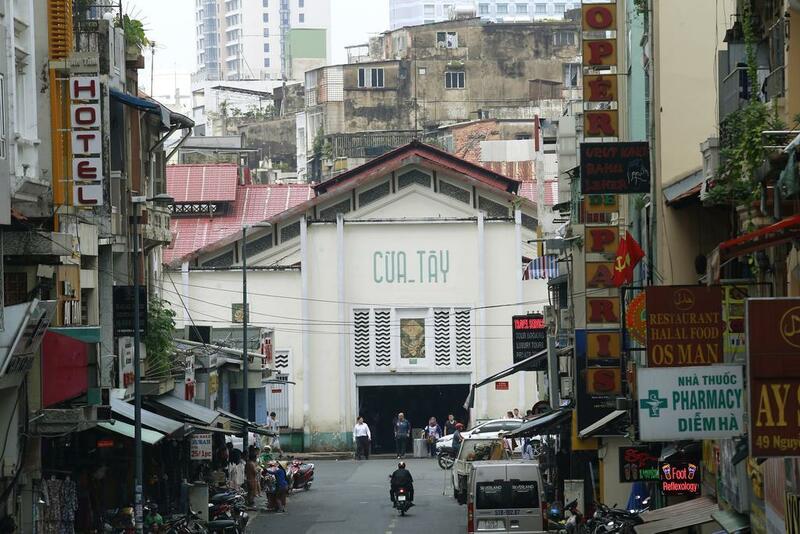 Good location, near Ben Thanh Market, the night market & a number of halal restaurants. Cons AC wasn’t cold enough in the day but ok in the morning (which is not a big deal). Water heater wasn’t hot enough (but acceptable). Some staffs has limited English to communicate. The lift was very small, only fit for 4 people (but it was okay. Better than nothing). Overall My family & I were having a good stay here. The facilities were not that bad but I hope the management will improve their maintenance. I would recommend this hotel to other people especially who come in a group of four. *I believe their standard room for 2 people is facing back of the room. Staff are polite, helpful and friendly. 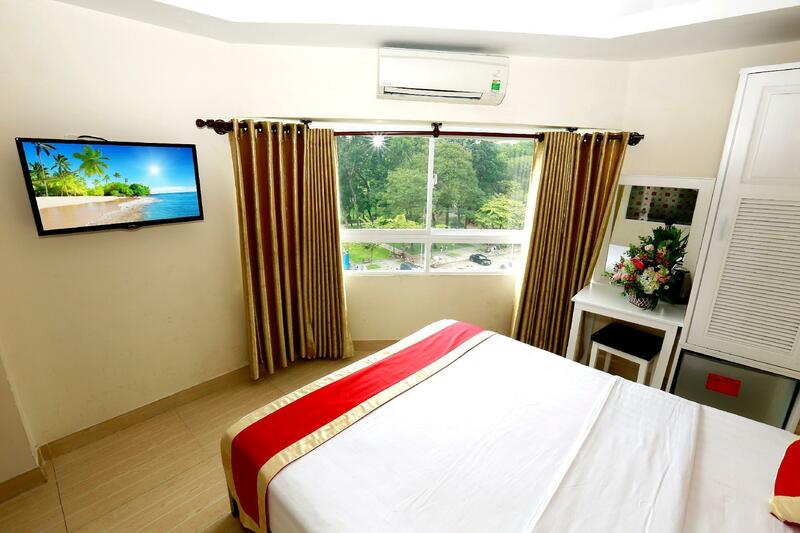 Hotel quite near to Malaysia Street and a few minutes away from the Benthanth Market. Baskin Robins is also just next door which is convienient for us. Facilities are mostly provided except iron which they charge rm3 per clothing. They also do laundry, mine was completed in a day so no worries ( and yes comes with charge 40k per piece) Please improve hot water for bathing, aircond needs to be serviced and wifi connection. 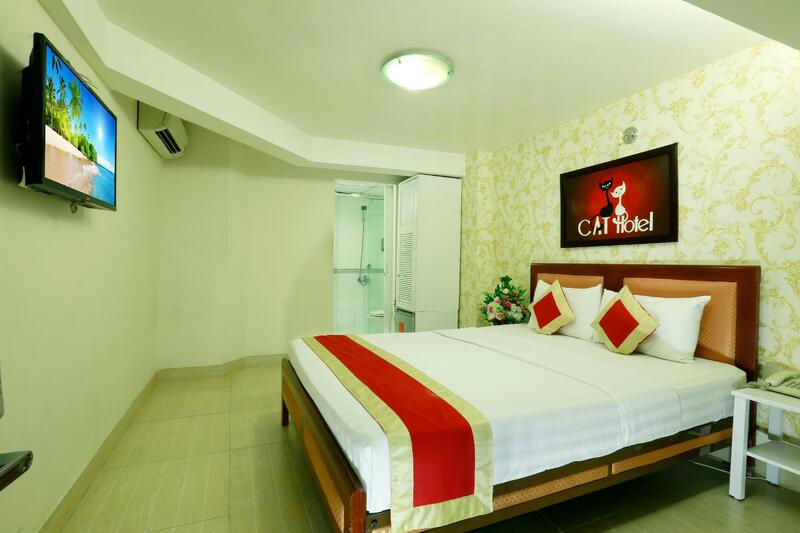 But overall, we were satisfied with staying at Cat Hotel and will consider to stay here in the future. Walking distance to Ben Thanh.. room is clean with city view. Staff are friendly. Location of the hotel is very very good. Once you exit the hotel, its the start of the night market. Rooms has great view compared to other hotels. Other hotels has either no window or window with alley view. But cat Hotel has city view and Ben thanh view. Value for money.